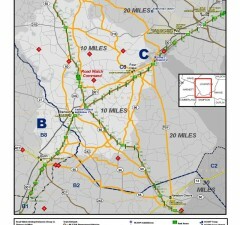 • Large format hard copy maps are produced for CMV enforcement planning reference, usually hung on field office walls. • Small map handouts are produced for CMV special operations, where troopers need to quickly familiarize themselves with local conditions. 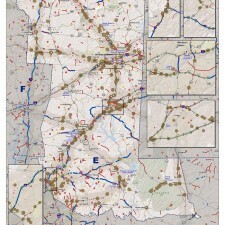 COVERLAB staff provide geo-locating services for mapping events that are used for planning enforcement activities. 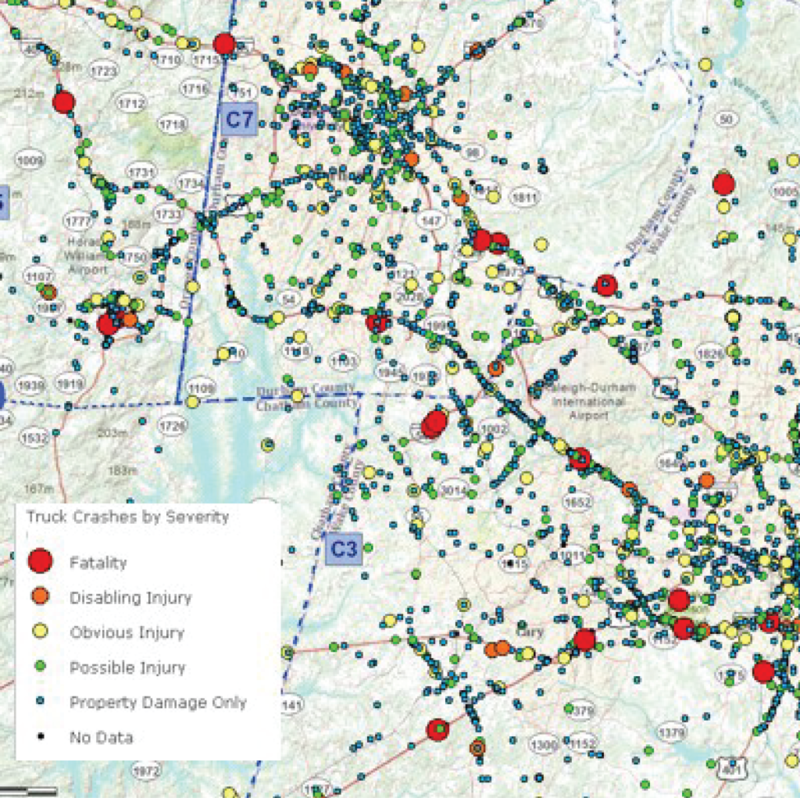 • Crashes – we map approximately 98% of all CMV-involved crashes in North Carolina (~9,000 – 14,ooo per year). 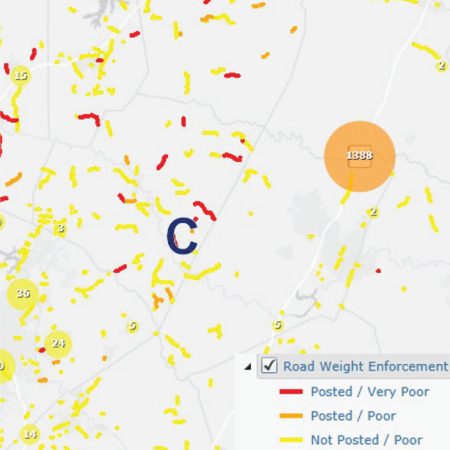 • Citations – we map approximately 90% of all citations issued in the field, including overweight and out-of-service violations issued. 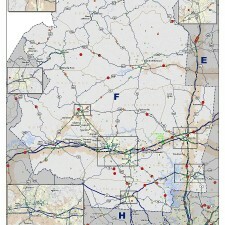 GIS layers help troopers visualize relationships between activities and demand by providing a visual reference for deploying enforcement personnel and identifying the appropriate types enforcement activities to conduct. This poster provides an overview of COVERLAB Analytics, including the business case, how it works, and how it helps North Carolina’s CMV enforcement program improve planning operations through data driven decision management. 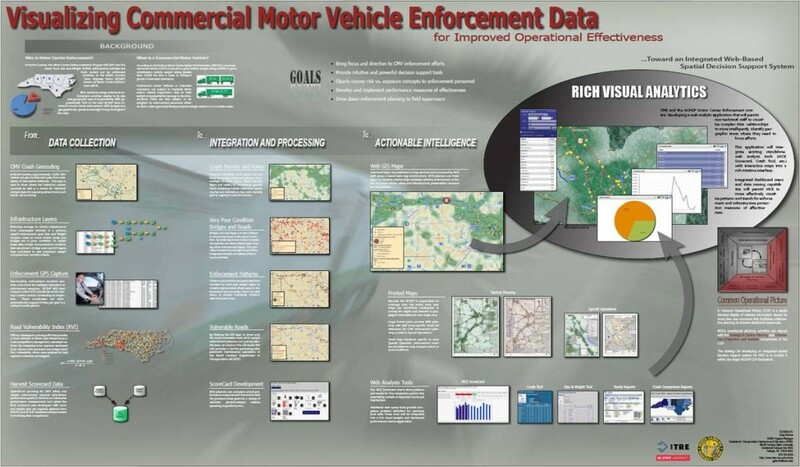 This poster provides an overview of how spatial patterns were distilled from raw enforcement and crash data, and how MCE staff is using these GIS layers to visualize patterns and trends for increasing operational effectiveness. This poster depicts geospatial analysis research by COVERLAB staff to spatially target areas for enforcement activities. The goal is to deliver decision support intelligence to help effectively prioritize and deploy limited personnel resources.